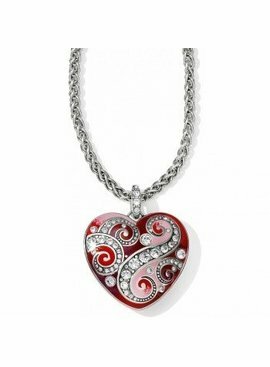 Swirls of handpainted enamel and Swarovski crystals lend a striking look to this heart pendant. On its reverse, the mirror image is engraved in simple silver. Wear it either way!